But why was such a bizarre piece of legislation introduced in the first place? 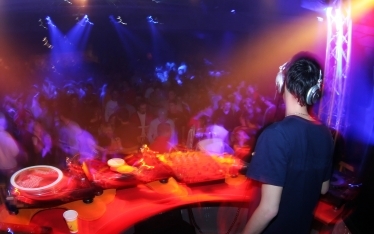 According to Squilla, the rationale was to prevent operators from surpassing the requirement of obtaining a SAOL by not playing live music or using a DJ and instead opting to play music from an iPod or iPad. Legally speaking, to ensure that operators obtain an SAOL, the amendment included “recorded music” under the definitions of a “performance act” in § 9-703 (1)(d). However, Squilla’s bill reached beyond recorded music. The bill required that contact information of the performer be turned over to the local police captain prior to the performance. Squilla stated on his Facebook page that the provision only says that “venues should obtain performers’ contact information to share with city officials should the need arise, but there is no city approval required for any events nor is a registry of performers being created.” That statement is partially accurate, in that contact information was not required by the city for approval. However, approval was required by the local police in the form of advance notice required to receive the SAOL from the city. According to the bill’s language, the SAOL would not be approved without the operator providing this information to the local police prior to the event. So it’s not the city personally asking for performers’ contact information but rather the local police, who must approve before the city can approve the license. Pretty clever. And pretty ridiculous. Squilla is correct that there is no mention of a registry being made to maintain artist contact information, but this doesn’t mean that documents are destroyed after a performance. One would assume that applications are filed away just like any other documentation city officials receive for public accommodations and licenses. Squilla further claimed that the provision was “not intended to restrict artistic expression of any kind of entertainment but rather is aimed at addressing public safety and quality of life issues.” In deciding whether to greenlight an SAOL, law enforcement is allowed to base their determination on factors such as crime, traffic, litter, parking, community concerns and neighbors in the immediate vicinity. With so many factors and so little clarification as to what qualifies as a legitimate concern, the question then becomes whether the artist is “appropriate” for the neighborhood or what type of “crowd” they attract. A major concern of the proposed bill is how it would affect performers in genres that are viewed stereotypically by uninformed civil servants and members of the public. Further, Squilla’s bill didn’t address its supposed purpose, which was to require an SAOL for the playing of recorded music. And even in that case, it is not immediately clear why an artist’s contact information would be required in a situation where the artist is not physically present. Keep in mind that an artist’s manager or publicist contact info is something venues, promoters and talent require to do business, but it’s not locked up in any vault. The same contact information should be sufficient for local police if they need to contact artists or their reps in situations where that is necessary (like an accident requiring investigation). Otherwise, the need to obtain performers’ personal information prior to a show seems more of an invasion of privacy, with potential implications for freedom of expression. After withdrawing his bill, councilman Squilla, said he would work with Philadelphia’s music community to establish a task force that can weigh in on any future legislation affecting the scene. So that’s an encouraging development. Of course, had there been a permanent advisory committee or task force to advise government officials on issues having to do with local music and entertainment policy in place prior to this unpopular bill, Squilla might have been spared some embarrassment. Cities such as Seattle and Austin already know the benefit of having a music commission that can encourage beneficial partnerships between local government, businesses, residents and musicians. The Philadelphia music scene is a major contributor to the local economy, and as such it is important that policies that could impact this sector are given due consideration by those likely to be affected. Music Canada and IFPI (International Federation of the Phonographic Industry) recently teamed up to create The Mastering of a Music City, which details important factors and strategies that when applied by artists, government officials and community leaders can help foster a vibrant and growing music economy. Two cornerstone reccomendations are creating a music advisory board and ensuring access to spaces and places for artists, the latter of which Squilla’s proposal would have made more difficult. If councilman Squilla follows through in creating a music advisory board, it would be a positive step for local government. However, there is a takeaway from Squilla’s doomed bill: when creating legislation that affects specific parties, actively seeking information from those parties in advance can save time, effort and Facebook outrage.